One of those arguments that seems intuitively wrong, but is hard actually to refute, is the claim that the probability of something that comes to exist in nature, particularly something that seems designed, is impossible to calculate. The fact that something exists, they say, makes its probability 100%, and so it cannot be judged unlikely in advance. Thinking mathematically, since any set of values is as rare as any other, for example in the case of parameters in cosmic fine tuning or the DNA sequence of some astonishing creature, there’s really nothing to wonder about in their existence, as opposed to anything else existing instead. Yet actually we can’t operate in the world at all without using crude probability assessments: the so-called “argument from personal incredulity” is only valid if the unbeliever is ignorant of probabilities that are known and justified by the believers. Otherwise it is just the obverse of the “argument from personal credulity”. (a) On a scale of 1-10, do you at first sight think the phenomenon is true, or a hoax? (b) Would you be interested enough to check out the the story at all, or just to accept the picture alone as data? (c) On what basis would you doubt the reality of the phenomenon a priori? (d) If you would doubt it on the basis of improbability, then how would you calculate the probability? The point is, that if such a thing as the Narilatha tree exists, then it happened, just as the origin of life or cosmic fine tuning “just happened”, and unlikely stuff happens all the time, we are told. Why would a vegetable looking like a woman be any less likely than a woman looking like a woman? Your skepticism is just a case of the argument from personal unbelief. If you doubt natural causes for the Narilatha, why not doubt them for the origin of life? Well, maybe you will reply along the lines of biological science. 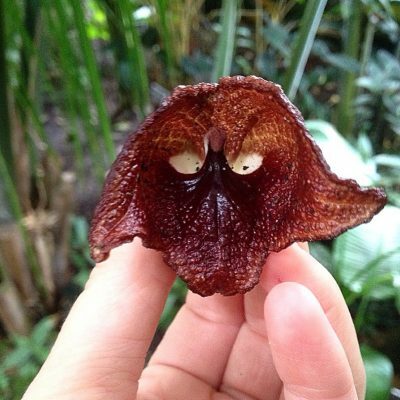 Womankind bears the form she does because of a whole range of adaptive features suiting her life, and also homologies with related creatures, and these do not apply to flowers. Well yes, that assumption was fine a few years ago, when biology depended on a theory called “Darwinian adaptationism”. But according to what seems a majority of current biological opinion, including those like Joshua Swamidass, adaptationism has lost the intellectual battle, and the vast majority of changes in the genome, and therefore in the phenotype, occur by nearly-neutral mutations controlled only by purifying selection. Neutralism requires no adaptive causes. We have no way of knowing whether any particular feature – such as a peacock’s tail or a woman-shaped flower – has any useful function, or if not is sufficiently disadvantageous to be selected out by nature. If there is no function, then there is also no measurable probability one could calculate for one shape of flower rather than another. For all we know the Narilatha flower is as likely to happen by natural causes as life itself, or the characteristics of water. But I recall I began by asking you whether you are intrigued enough to check out the truth of the Facebook claims. And I’m willing to bet that you either decided that it’s such a tall story that it’s not worth it, or else that you’ll Google something like “Narilalatha hoax” and accept the first counter-claim as a sufficient refutation. If so, it puts me in mind of my earlier journalistic life, when in 1981 I responded to an article in World Medicine by a skeptical Dr Sam Shuster, who devised a similar rule of thumb for rejecting implausible phenomena. 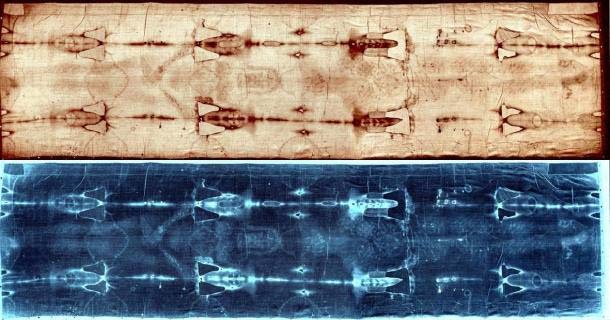 He called it “The Shroud Test” after the holy shroud of Turin, whose authenticity he regarded as refuted out of hand simply by the nature of the claims made of it. It’s certainly true that there is a similar degree of strangeness to the story, and similar claims of authenticity. But there is actually a difference in the cases. In the instance of the Narilatha tree, the claim is that inexplicable natural causes can cause unconscionably rare things to happen – and under neutral theory, the Narilatha tree is as likely as any other fortuitous, non-adaptive, event such as the origin of life, random convergent evolution, or human consciousness. In practice we ignore all that and shrug the tree off as a hoax without even buying the book. In the case of the Shroud of Turin, however, the uncertainty is based not on whether it might “simply happen”, but on whether a supernatural God might make it happen. Probabilities are still incalculable, but that’s because intelligent agents don’t make choices probabilistically. Once one’s mind is made up, one simply chooses ways and means to achieve ones ends – which is no problem for God. Drawing our conclusions about the truth of a matter, in that case, depends on what we might predict about the final causes of such a God. 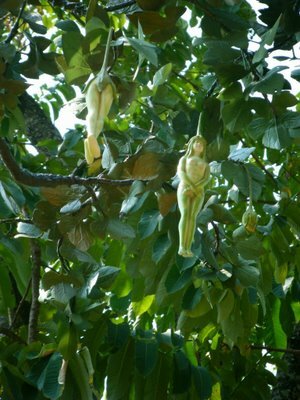 And in the case of the Narilatha tree, we can safely say that no God would design a flower that looked human. After all, if he did that, he might as well design one that looks superhuman. Never heard of it. It seems not true. Naw its not true. Just by your pictures it seeems too woman like. The monkey face things must be true. I wouldn’t say probability is against it. In nature things can converge. I do think, insist, convergence in nature of glorious functioning things is impossible from chance/evolution. In other words, it’s improbable that nature would get it that exact, as I think we’d all agree – but I doubt anybody would find a way of deciding the difference mathematically. 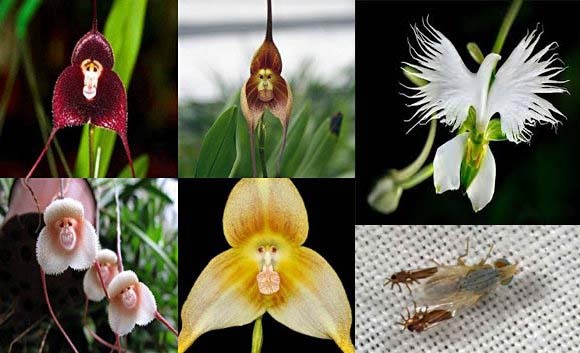 After all, the monkey-orchids and the insect-wings are pretty unexpected… enough to have made me check them out when I first saw them. A Promising Suggestion on BioLogos, But Will There Be Any Support for It?